Utah drivers are on edge as the state passed one of the strictest driving-related law — one that could change societal norms and change the way people act with friends and coworkers. The new DUI law also opens up a whole avenue for frivolous lawsuits, underhanded claims, and unlawful arrests. Whether it’s an automobile accident or an unlawful stop, having an attorney whom you can call can give you more positive outcomes. This is especially true for immigrants as Provo Representative Norm Thurston sponsored a bill restricting immigrants from even drinking a drop of beer if they were to drive. A competent attorney can tell you what to do or how to handle certain situations, especially when you feel that your rights are being abused or the other party is making unfounded claims. An attorney is particularly important when dealing with automobile accidents and the ensuing insurance claims and civil suits — whether you are the defendant or the claimant. 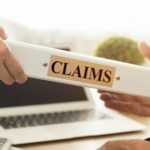 Automobile accident claims can be a battle between who appears more credible, but not if you can prove your side of the story for a fact. Front and rear dashcams can record every second of your time driving and be an incorruptible source of evidence. An opportunistic ruffian who sees you drinking in a bar can easily contrive an accident to extort some money from money from you, and the lower blood alcohol concentration limit can have you in the ropes even if you aren’t impaired. A police officer who might have issues with you can also stop you for no particular cause. Without being to be able to prove your side of the story, you might be getting an unjustified Breathalyzer test that can get your license suspended or even land you in jail. 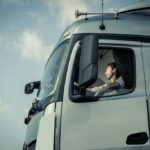 Whether it’s a frivolous accident claim or an over-eager police officer, a dashcam can prevent these situations from escalating or starting altogether. One way to avoid getting mired in sticky situations is to avoid them altogether. Not drinking when with friends can be troublesome, but you can always hail a cab or use a ride-sharing service like Uber. If you do have that one drink and need to drive home, you might want to consider hanging out a little longer to get alcohol levels down. 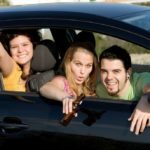 This can be a problem if you’re an immigrant who just recently acquired a Utah license since any trace of alcohol in your system counts for a DUI violation. Even if you’re not impaired, avoid any behavior that could be misconstrued as impairment even when approaching your car. When driving, stick to your lane and avoid giving any officers an excuse to flag you down. If ever you are asked to perform a Breathalyzer test, ask first if you are being charged with any violation. If not, then you are not legally obliged to de the test. Utah’s driving laws are there to make the roads safer, but you need to keep yourself safe from any misuse of those laws. Know when not to take a Breathalyzer, keep a record of your driving, and get a competent attorney in case you get into a sticky situation.